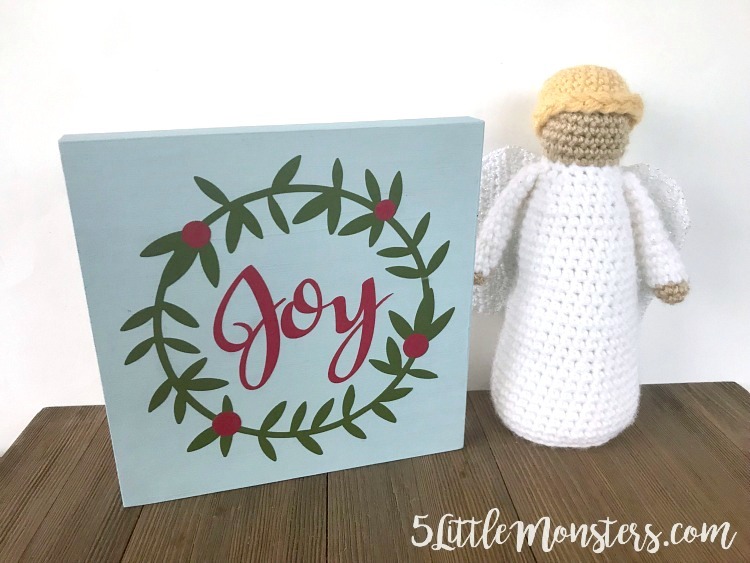 I knew I wanted just one short word like I did on my Halloween sign and Joy seemed like a good choice for Christmas time. 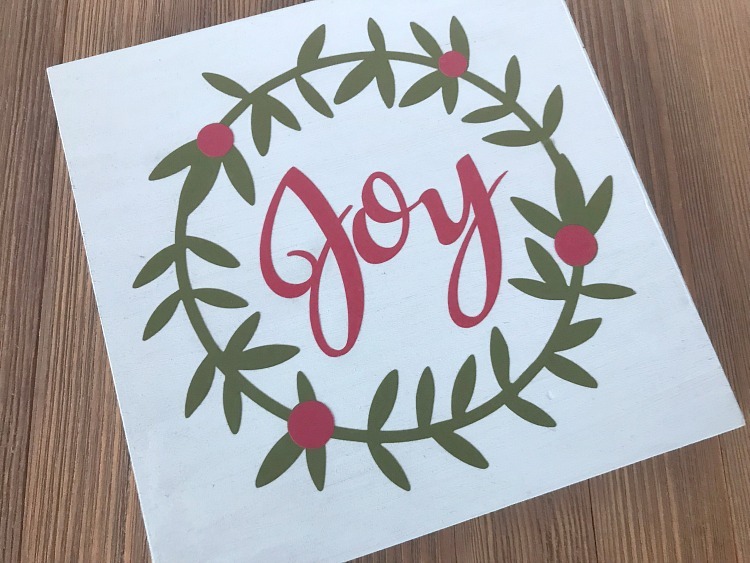 Rather than using a plain circle behind the word this time I found a simple wreath design and placed that around the word. I felt like that made it a little more festive. 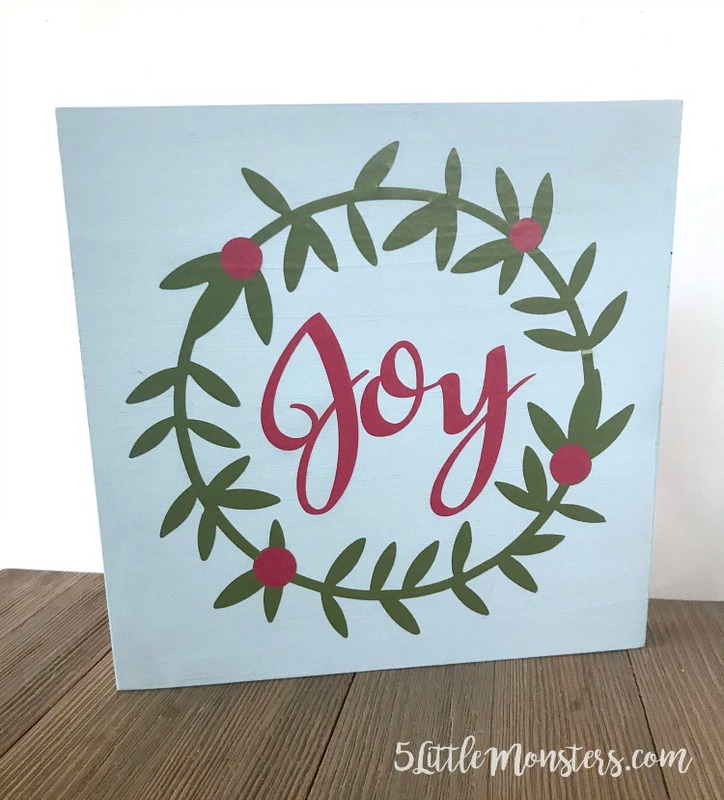 I chose the colors for my vinyl from a sampler pack I had gotten from Cricut. I thought about painting it white but I kind of wanted a little more color, white seemed kind of plain. Red and green were out since those were the colors of the vinyl. I decided on a light grayish blue. I wasn't sure how it would look but when I was deciding on a color it was the one I kept coming back to so I decided to go with it. I really liked the way it turned out. I felt like it went well with the shades of red and green I used and wasn't as plain and boring as white would have been. First paint your wood panel with the chalky finish paint, then set aside to dry. Open the design space file and cut out the design. Weed and use transfer tape to apply to the board once it is dry. That's it, super quick and easy. 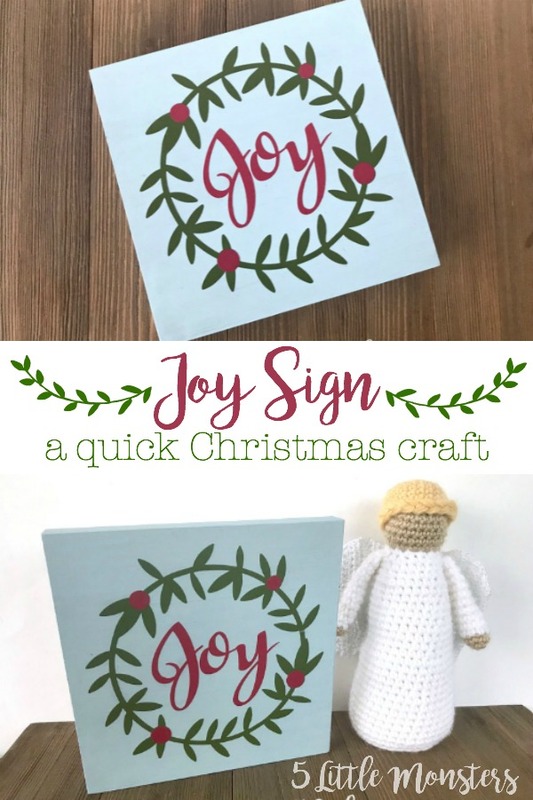 I love the way this little sign turned out, it is making me excited to get out all of my Christmas decorations. 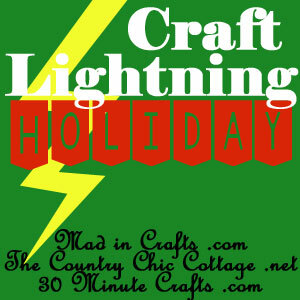 Be sure to check out all of the other quick holiday craft ideas by clicking the button below. Erica, I really like your sign from the size to the colors. 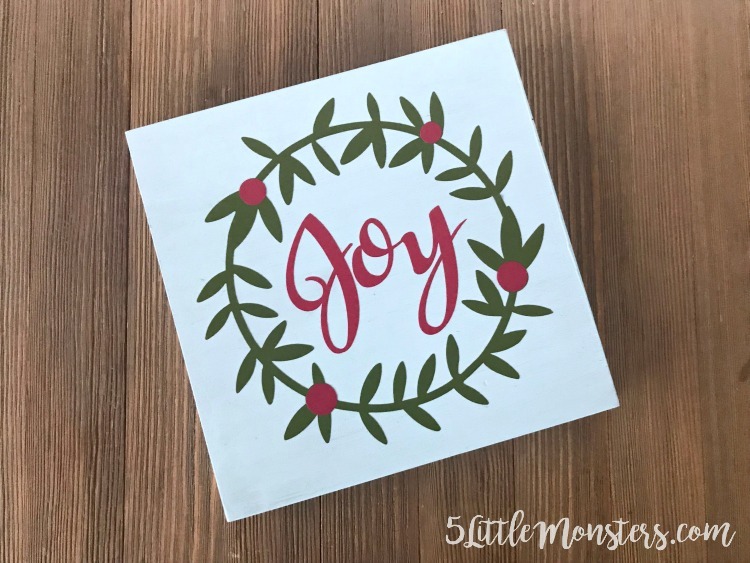 Joy is such a fitting word for the Christmas season and I pray it spreads into the rest of the year. Love the sign! Thanks for joining! 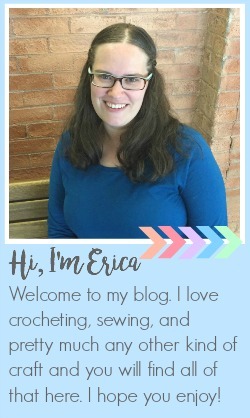 Erica, I love the Joy project, I also love the crochet angel, is there a pattern you can share or give me a link to please. Thank you, I have saved the pdf so that I can add the angel to my Nativity set that I completed last year.